What is the International Laboratory Freezer Challenge? The International Laboratory Freezer Challenge (Freezer Challenge) is a competition designed to promote best practices in cold storage management. The Freezer Challenge covers all forms of cold storage, including refrigerators, freezers, and cold rooms. Labs participating in the challenge will be asked to submit an online score sheet. Who can participate in the Freezer Challenge? Any laboratories in the world can participate by signing up at freezerchallenge.org. Laboratories are defined as a group of people and their physical space working under one manager, researcher, or scientific mission. ​When will the Freezer Challenge take place? The Freezer Challenge will start in December 2018 and continue through May 1, 2019. Freezer Challenge participants must register in order to receive a score sheet. Score sheets are due by midnight PST on May 1, 2019. Labs are encouraged to work at their own pace during the intervening months to complete the challenge. What are the benefits of participating in the Freezer Challenge? Removal of unneeded or unviable samples from cold storage units, allowing space to be consolidated or eliminated. Reduced costs associated with maintaining extraneous cold storage units. Improved researcher access to and security for viable samples. Development of ongoing cold storage management practices that support efficiency and maximize lab space utility. How is the Freezer Challenge scored? Labs will receive points for taking the actions listed under 'The Challenge' part of the website. Each action is worth 1 point, and points will be tallied to determine the final score. Yes! Awards will be given to individual institutions based on the total number of points (Everest Award), and the total number of points per number of refrigeration units (Denali Award). Institutional awards reward those organizations that have encouraged the most labs to make the greatest difference during this challenge. Awards will also be given to individual laboratories who score the most points per number of refrigeration units. Lab awards reward those labs who have made the greatest effort to improve their sample management and reduce the impact of their cold storage methods. Lab winners will be published in Nature and will receive a coffee maker and Freezer Challenge mugs. What is the Freezer Challenge registration deadline? 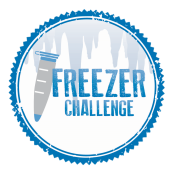 Online registration for participating in the Freezer Challenge is ongoing, however labs must register prior to receiving a score sheet. When will the Freezer Challenge Score Sheets be available? Online score sheets will be made available to participating labs starting on December 17, 2018. When must Freezer Challenge Score Sheets be completed? Online Freezer Challenge Score Sheets must be completed by midnight PDT May 1, 2019. Our lab has already done a lot of the actions listed on the score sheet - will we be awarded points for previous actions taken? Yes! The Freezer Challenge rewards both existing best practices and the adoption of new best practices. I accidentally submitted my score sheet before it was completed - help! No problem! Email us and we will send you a link to a new one. All questions should be directed to info@mygreenlab.org.